Happy Thrift Score Thursday!!! Things have been crazy here and I have not had much time to thrift! Not crazy as in the sense of being too busy, but crazy in the sense of the time that I would have been able to go plans changed due to snow or ice days and school being closed. Lucky for me I have help. 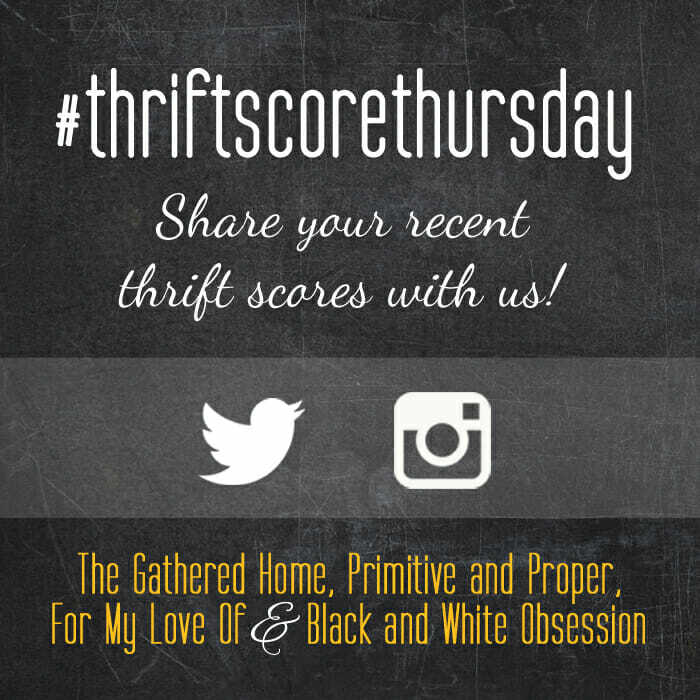 Anyhow, if you’re new here, here’s what Thrift Score Thursday is all about! We want you to participate! Hit up your local thrift stores, craigslist, yard sales, estate sales, side of the road, anything! Thrifty doesn’t necessarily mean from a thrift store. We want to see your good deals, wacky finds and treasures. This week we have Anna from LeCrafteur back as a special guest host! We just love having Anna! And let me tell you, there were SO many amazing finds this time! I loved seeing all of your goods! I love this style of candlesticks and actually found some just yesterday! Holly from West Pear scored these for $1 each! You can follow her here on instagram to see all of her fun and finds! 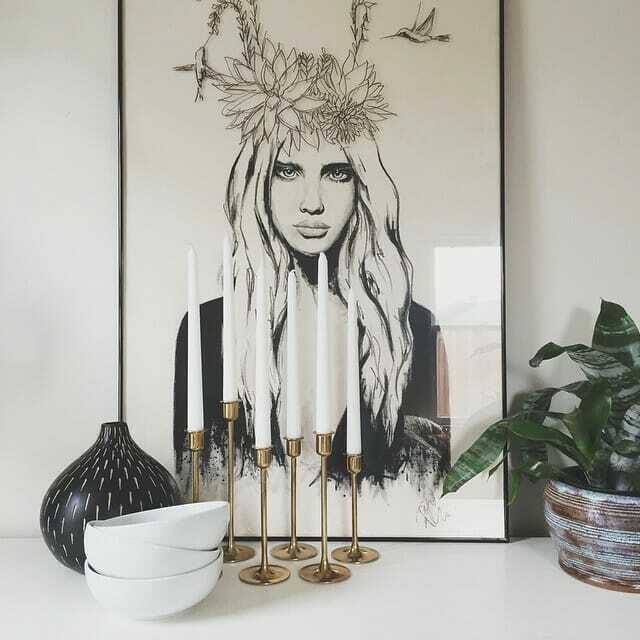 Vanessa Shastine also found a fab set of these candlesticks among many awesome things! Don’t you love this little vignette which is really just her finds! But they look so pretty together! You can find Vanessa on instagram here. And you all know I am a sucker for bentwoods every single time! Check out these beauties Thalita from The Learner Observer found! Do you know what I just noticed? 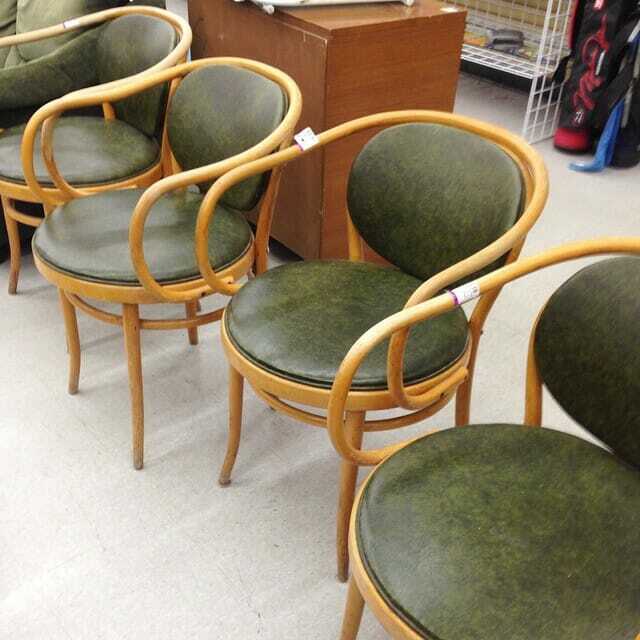 They are actually the same style as my dining room head chairs, but my seats are caned and the backs have no cushion. You can find Thalita here on instagram! And now for my find! If you follow me on instagram, you have seen a sneak peek of it and know that it’s already had a makeover. (Details coming soon!). Anyhow, as I mentioned, I have not had much time lately to get out and find anything. And when I have headed out, I’ve come up pretty empty. Well, lucky for me, I have a vendor at Sweet Clover who is always on the hunt and finds some amazing pieces. Heather of Random Notion actually lives near my old neighborhood, so I passed on my treasure trove spot to her, plus she’s got several of her own. 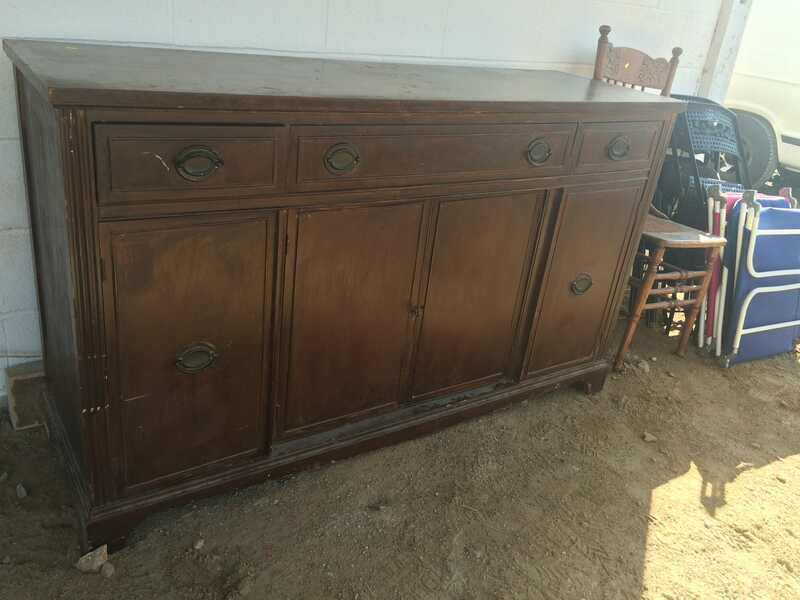 She texted me when she came across this buffet and offered to purchase it and bring it to Sweet Clover for me because she had no room. I offered her my best price (including her finder’s fee) and we had a deal. Isn’t it gorgeous? And now be sure to check out what my cohosts have found and featured this week! Just checking in! You scored big time. I miss scores like tha . Time does go by fast. Love this ide . Hope you are all well. I am dying over those bentwoods! I WANT! Such fun features! 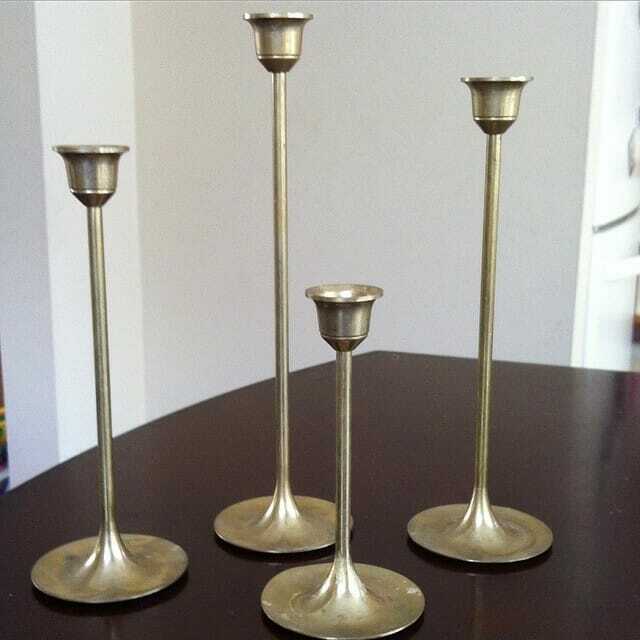 I passed on a set of 10+ brass candlesticks just like those because my Goodwill had them priced too high (in my opinion). They’re certainly lovely! And I can’t wait to see your buffet makeover! Way to pick out two sets of candlesticks- maybe the thrifting Gods will be on your side during your next haul! That buffet looks mighty sturdy and those handles… perfection! Don’t expect you to use it but I posted a pic on my Instagram of a thrift score. Another brass animal find in a bunny form. Slowly adding to my collection. you’ll have to wait til next week when i decide on next week’s features. i do love brass animals, so you never know! i don’t know why you wouldn’t expect me to. I like the buffet! Can’t wait to see you work your magic Cassie! I love how all your features would look beautiful styled in a room together. With your score!